Showcasing another recent custom project. 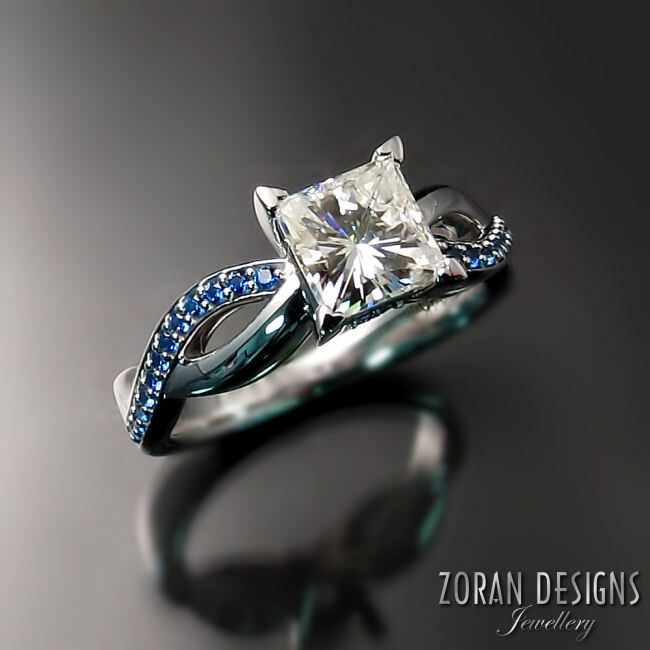 This bespoke engagement ring features a beautiful princess cut centre and Ceylon blue sapphires along the shank. The splash of blue is perfectly fitting for this sculptural, wavy design. Designed for a girl that loves blue; so why not add blue sapphires to a ring she'll look at every day? Custom design let's you incorporate those personal touches and make a piece truly special and unique.